Orí and the Lukumí Rogación de Cabeza (Head Rogation), a seminar for Lukumí olorishas and aleyos (non-initiated). 11:00 a.m. to 3 p.m. This important seminar addresses the great significance of our Orí (Erí; head) and the attention that devotees must give to this center of ashé that guides our life and molds our existence. The class is divided into two sessions. Aleyos may participate in the first half of the class for the theoretical discussion of Orí. 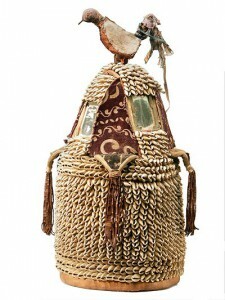 Thereafter, the session on the “rogación” and other rituals for the head will be available only to the olorisha. If you are interested in partaking of this seminar, reserve as soon as possible. Seating is extremely limited. You MUST provide a minimum of two verifiable references that will confirm your religious status/ordination and their contact information. Once you application has been approved, we shall send an email requesting a NON-REFUNDABLE $35.00 deposit. Please make sure that your email address is entered correctly. The deposit must be paid by March 5th. This deposit will be deducted from your final payment. The request for the balance will be sent to all the participants the week before the class begins. The deposit is payable through Eleda.Org’s “Seminars & Payments” section. We cannot guarantee a seat without a deposit.